If you brush, floss and use mouthwash every day, you may wonder why it’s a big deal if you miss the occasional teeth cleaning appointment. A dental clean, however, is more than just an elaborate version of what you do at home. Regular dental cleans in Toorak are vitally important to the health of your teeth and gums, and missing even one can trigger serious dental issues. What Happens During a Scale and Clean? 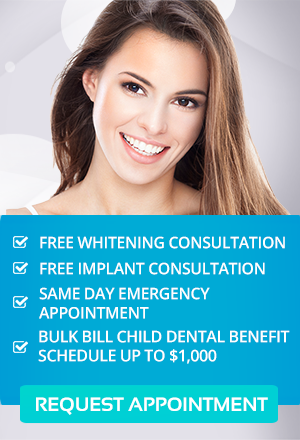 Your dentist in Melbourne combines the dental clean with your checkup appointment every six months. The cleaning process involves removing plaque and tartar from the teeth with special instruments. Plaque is the soft, sticky film that naturally forms on the teeth and can be brushed and flossed away. If plaque is left on the teeth too long, it hardens into tartar, and your Melbourne dentist must remove it with a dental instrument called a scaler. Once the tartar is eliminated, your teeth are polished to not only remove surface stains but also smooth out the enamel to make it less hospitable to the accumulation of plaque and oral bacteria. The dental clean is typically finished off with a topical fluoride treatment to remineralise the teeth and prevent cavities. What Are the Benefits of Routine Teeth Cleaning? Even the most careful and diligent person misses a few spots occasionally when cleaning the teeth. When this happens, bacteria-filled plaque can irritate the gums and lead to gingivitis. If the plaque turns into tartar, the hard calculus can break the bond between the teeth and gums and cause true periodontal disease. This is a chronic condition that needs management for life, and that means dental visits every few months for deep cleanings beneath the gumline. If the condition progresses, you may need laser surgery, bone grafting and other invasive procedures to prevent tooth loss. Your Toorak dentist would much rather see you every six months for a thorough, preventative cleaning than several times a year to perform extensive dental work that could have been avoided. Periodontal disease has also been linked to numerous chronic medical problems, such as heart disease, diabetes and dementia. Regular dental cleans now can mean better overall health in the future. If you’re overdue for a dental clean, Melbourne dentist Dr. Halim Prayogo encourages you to make an appointment with Simply Smiles Dental today. Simply Smiles Dental accepts most Private Health Insurance Benefits including MediBank and HCF, and all major health funds. We can perform your cleaning with no out-of-pocket expenses, so you have nothing to lose and everything to gain by taking advantage of your insurance benefits. Ask your health fund how many no out-of-pocket cleans you are covered for and make sure you use them!